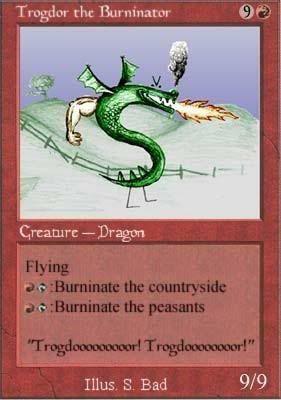 For those who don’t know what the heck I am talking about… Trogdor the Burninator is a great skit done by Strong Bad from the Homestar Runner series. This was before the Youtube and streaming era… it was when webcomics and newgrounds were rampant and wild. They even had a web flash game that was simple arcade fun. Anyways I wanted to share the news that Trogdor!! The Board Game is on Kickstarter and looks to be backed over $500k! They have plenty of tiered options and stretch goal rewards for the biggest fans. I personally plan on dropping $60 to get the plastic figure set alongside the wooden regular pieces. You can check the full Kickstarter here.